in minutes with the use of a Steel Hammer, And M10 Hex Allen Wrench Key. Approximate Weight – 376 Lbs. 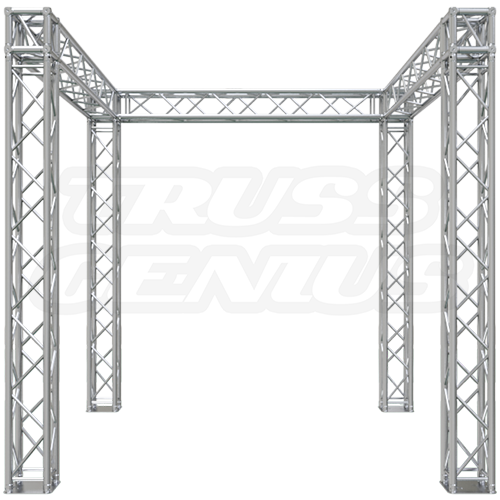 This versatile 10×10 truss trade show booth is modular and can be set up in four different configurations. In a world of constant change and innovation, trade show booth design is a vital component of attracting and keeping customers. 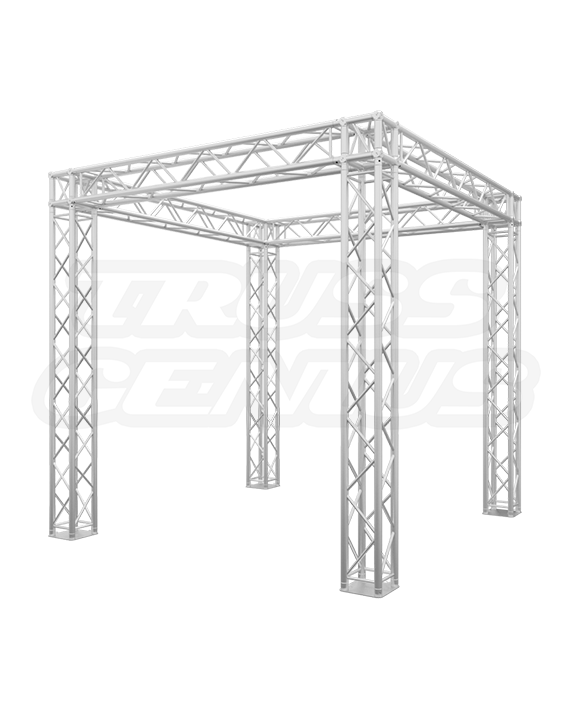 Break the mold with this modular 4-in-1 truss and create a variety of 10×10 trade show displays. The versatile design can accommodate both small island booths and inline booth designs. The style of your 10×10 trade show booth design sends essential visual signals to potential and existing customers, as well as competing vendors. Dial up the interest and creativity with fresh designs and keep people on their toes wanting more. 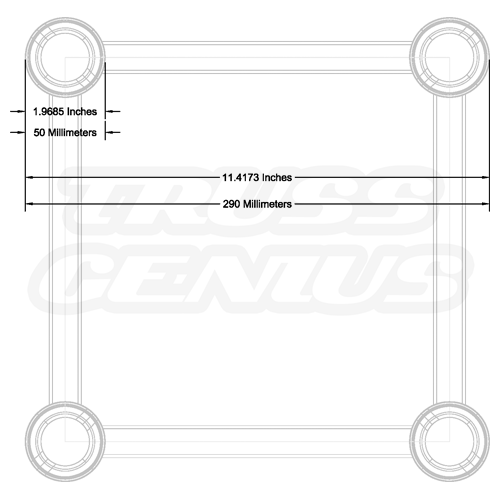 With pieces that fit together like building blocks, your custom design can come alive. 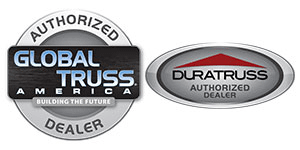 Let Truss Genius help you design a booth that will not only impress your customers but also, make your competition think they are falling behind! 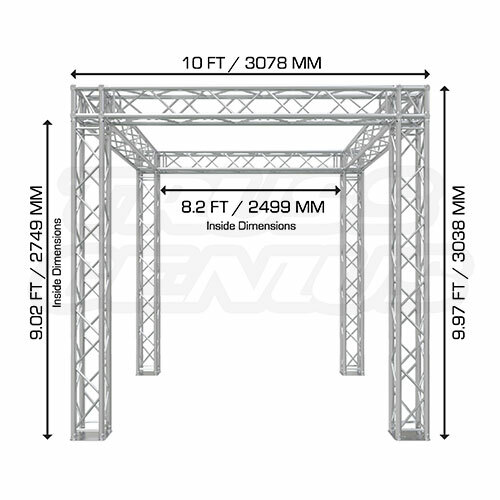 The truss booth can be expanded to a larger size by adding additional pieces from our F34 Square Aluminum Truss series. 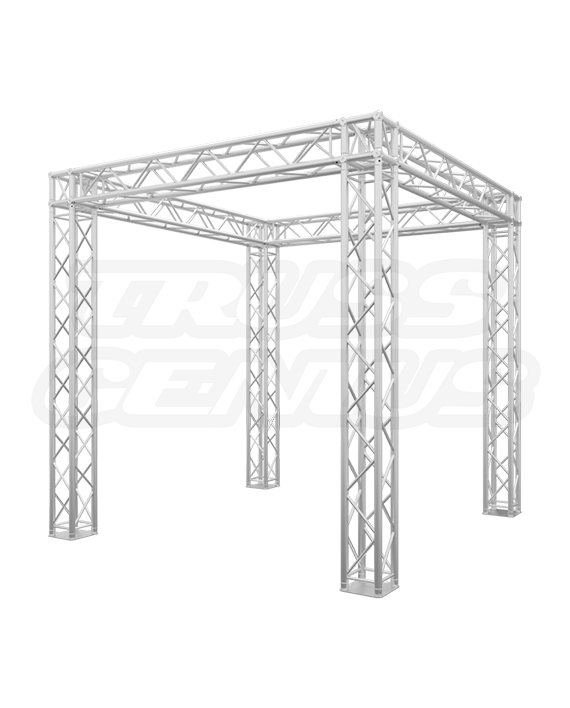 Aluminum Truss is usually very lightweight and can be transported in collapsible containers or truss bags. 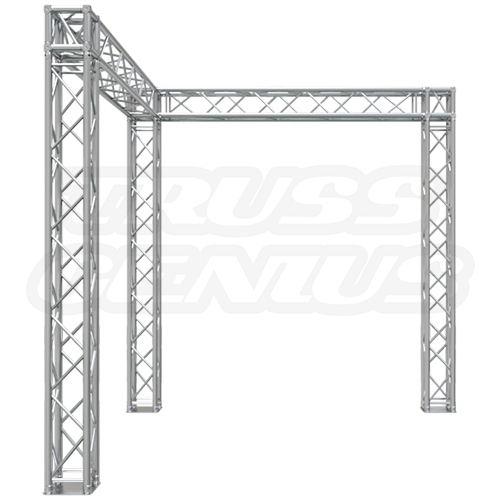 Our line of 50mm 1.96″ – Clamps were specifically developed for this truss system. 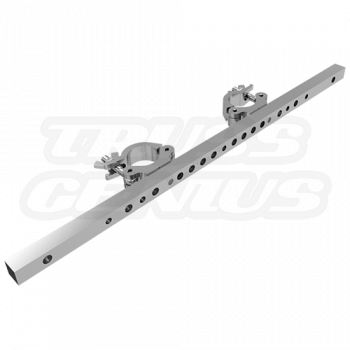 STRUCTURE HAS BEEN DESIGNED FOR MAX RIGGING OF 300 POUNDS PER LINEAR FOOT ON EACH SPAN. RIGGING ASSUMES NO BRIDLING. 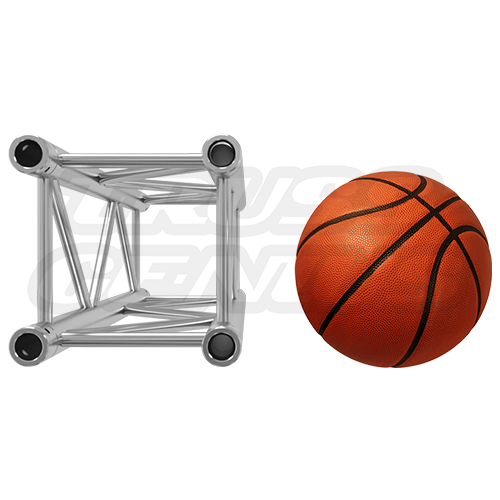 WHEN USING A REAR SCRIM, THE STRUCTURE REQUIRES 800-LBS. BALLAST ON EACH CORNER OR ANCHORAGE TO CONCRETE SLAB. 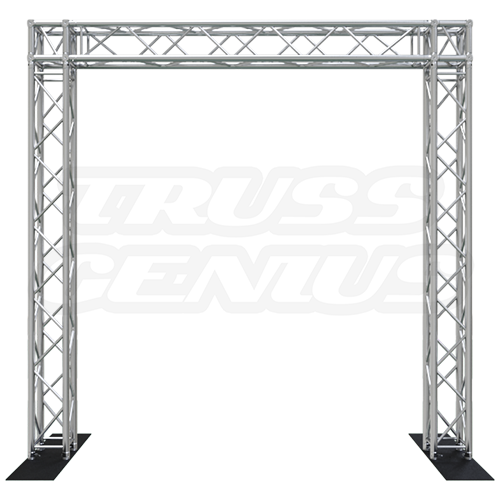 Do not exceed the load capacity of the F34 Truss Booth System. The F34 Truss Booth System should be fully inspected before use. 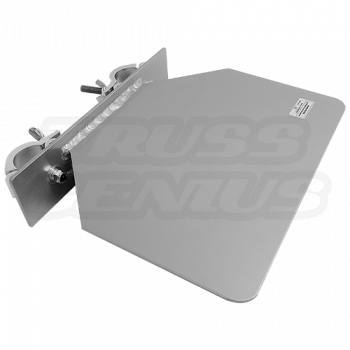 In the occurrence of any damage or defect, the F34 Truss Booth System should not be used. The use of sand bags is recommended for maximum security. We have designed our shopping cart to exceed the latest standards for secure online transactions. To ensure the maximum protection for our customers, our shopping cart checkout pages. Reside on a secure server using “Secure Socket Layer” Technology (SSL), and all personal customer information is encrypted using the best available technology to ensure that any unauthorized source cannot access it.